432 voted no, while just 202 voted yes, among the worst defeats for a UK government in history. 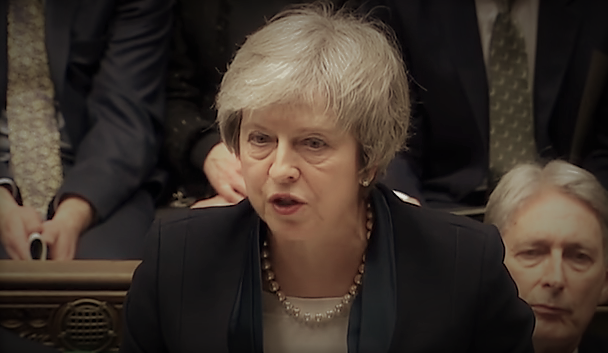 Theresa May’s Brexit deal was crushed in the UK House of Commons. Just 202 voted in favour of it, while 432 voted against. The 230 vote margin of defeat is among the worst in modern history. Following the vote, Labour leader Jeremy Corbyn said he would bring forward a vote of no-confidence in the Conservative government. However, despite May’s plan being soundly defeated, there is no guarantee that the Conservatives will lose power. Along with their coalition partners in the DUP, the Conservatives command a slim-majority, and neither they nor the DUP want to risk an election that could bring Corbyn to power. And Theresa May – despite being weakened politically from the immense defeat – could also keep hold on her position. After all, while her deal was rejected, there isn’t any other deal on offer that seems able to command a majority. Now, May will have a few days to bring forward a plan B, which will probably be rejected, and the long stalemate will continue until the pressure gets strong enough to force a deal. Personally, I think the best thing would be for the UK to truly take back control and just declare that they are out of the EU immediately. Just get it done. Brexit was already voted on but as we know all to well,law abiding citizens had No say as trudope reminds us everyday in Canada. no means no, what part doesn,t she understand. good lord, and i thought our politicians were bad. I couldn’t agree more Spencer! The deal the May brought to the table (who by the way, is a strong supporter of remaining in the EU) was worse than what the UK has now. How do stupid politicians continuously get elected? “Git ‘er dun”? Is that Oxbridge English? Britain should leave a twenty on the nightstand and turn the key in at the front desk…. That’s how gentlemen do it.